That December, the self-confessed treasure hunter moved into his new home. Luckily, there was a barn as well as a large space in the back of his new digs that could house the various collections, memorabilia and antiques he had amassed over the years. Now referred to as the “Barn Store,” and the “House Store,” they make up Bevaart’s business, Forgotten Memories Antiques & Collectibles. To top it off, the setting just happens to be a 5-acre spread that includes two ponds, an original 1700s wishing well, boxed gardens, walking paths and a formal rose garden. Forgotten Memories is easily identified on the road by whimsical “Pole People” found on both sides of the road and a barn that sports a huge Maud Lewis-style painting on one side. Forgotten Memories Antiques & Collectibles opened in May, 2012. With more than 10,000 items on display, buyers and browsers love discovering the selection of old toys, glass and porcelain, jewellery, Beatles memorabilia, black Americana, coins, antique furniture, and more. 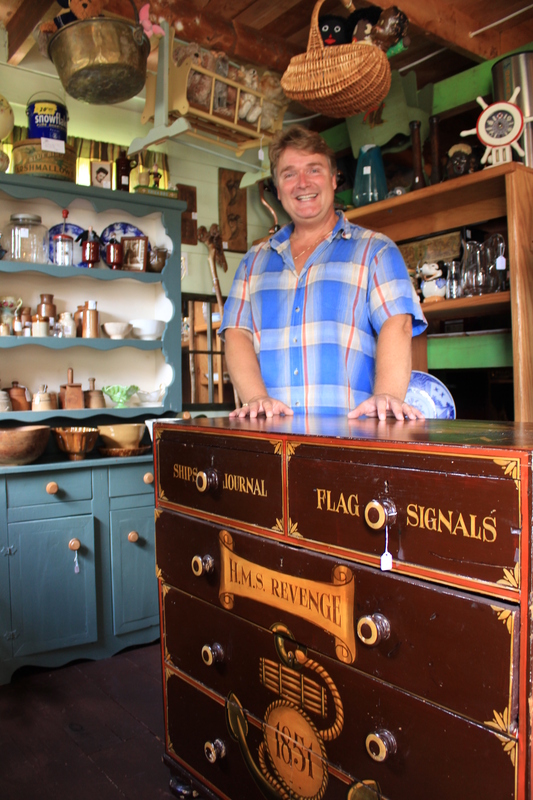 Aside from spending hours with visitors, Bevaart spends his waking hours sourcing items, cleaning them, doing research, pricing, arranging things in both stores and working in his beloved gardens. Open less than a year, Forgotten Memories is talked about from one end of the province to the other—and further afield.